Today we are going to talk about hearsay. The legal term, “hearsay,” is one of the most misunderstood legal terms in the law. Last weekend I had a client in my office that I was preparing to testify for a trial that was coming up. I asked the client a couple of questions and the client said that the Court would not allow me to ask that question because it was hearsay. I found myself explaining the term to the client and realize that most people do not really understand the legal meaning and implications of the term “hearsay.” So let me explain what hearsay is and how it could impact your criminal case. The definition of hearsay law students are given in law school is as follows: An out-of-court statement being offered for the truth of the matter asserted. As a general rule, hearsay evidence is inadmissible in court. Like most other things in the law, there are exceptions to this rule. So unless there’s an exception, hearsay is inadmissible. If a statement is hearsay, it does not matter if the statement is oral or written. The reason behind not allowing hearsay evidence at trial is to prevent out-of-court, secondhand unreliable statements, to be used in court given their unreliability. In addition to the inherent unreliability of hearsay evidence, it is unfair to the party against whom this statement is being used because the party is unable to cross-examine and challenge the out-of-court statement that is being used against them. I frequently meet clients who are expecting to be arrested in the near future. This past weekend, I met with a client who was questioned by their employer about some money that was missing. The client admitted to me that they had stolen some checks that have been written to their employer. The client informed me that their employer told them that they had notified the police and the client came to my office asking what they should do when they are arrested. This is a pretty common scenario in my practice. I frequently meet with clients who know that they are in trouble and that the day is coming that they will be arrested and be charged with a crime. Here’s what I told this client, and other clients, who want to know what will happen. It is important to know that you are under no legal obligation to cooperate with the police when they want to question you about a potential crime that you may have committed. The Fifth Amendment to the United States Constitution gives you the right to not incriminate yourself. This means that you have the right to remain silent and not answer any questions that the police ask you about any crime that you may have committed. Probably the most common mistake that clients make when the police arrest them or question them about a possible crime is that clients think that they can talk themselves out of getting arrested and being charged with a crime. If you did nothing, then I suppose it makes sense to talk to the police. But if you know that you did something wrong and committed a crime, there is no logical explanation for talking to the police. If you know that you committed a crime and you are talking to the police, you will either tell them the truth, or you will lie to them. In either case, talking to the police when you know that you are guilty of a crime is not a smart move. Even if you believe you did nothing wrong, talking to the police and answering their questions is probably not a smart move either. You have no idea what information the police have. They may have incorrect information and by answering their questions, you may be giving their incorrect information more credibility than it deserves. The point of this paragraph is to advise you that if the police start asking you questions about a possible crime, you should immediately demand that they get you a lawyer. Another common misunderstanding is that the police have to “read you your rights” once you are arrested. The only time the police have to “read you your rights” is when you are being questioned by the police and are you in the custody of the police and are not free to leave. A common example of this scenario is when you are placed under arrest and are taken down to the police station and the police put you in an interrogation room and start questioning you about a crime. In order for the police to be able to use any statements you make in that custodial interrogation, the police have to “read you your rights.” This means that the police have to inform you that you have the right to remain silent and that anything you say can and will be used against you in a Court of law. They also have to advise you that you have the right to a lawyer and that if you cannot afford a lawyer, one will be provided for you for free. Once you make a knowing and intelligent waiver of those rights, the police can question you and any statements you make during the course of the questioning can be used against you in Court. But there is no requirement that the police have to read you your rights once you are arrested. I Have a Criminal Case. Do I Need a Lawyer? The title to this article comes from one of the most common questions I get asked by clients who call me to discuss their case. When I ask them what their question is, I’m frequently asked whether the client should have a lawyer for their case. Many clients do not know the answer to that question because they don’t understand what the implications of a criminal case can be. Sometimes people don’t understand that what they are charged with is a crime. Yesterday I received a phone call from a client who was pulled over by a State Trooper and charged with driving 33 miles per hour over the posted speed limit. The client did not understand that what he was charged with was not a simple speeding ticket. In Illinois, if you are pulled over and charged with speeding 26 to 34 miles an hour over the posted speed limit, you will be charged with a Class B Misdemeanor. What he was being charged with is not a simple speeding ticket but an actual crime. A conviction for driving 26 to 34 miles an hour over the speed limit carries a possible jail sentence of up to six months in jail and a maximum fine of $1,500. If you are charged with driving 35 miles an hour and over the posted speed limit, you will be charged with a Class A Misdemeanor. A Class A Misdemeanor for driving 35 miles an hour over the posted speed limit carries a possible jail sentence of up to one-year in County Jail and a maximum fine of $2,500. Clients who call me with cases like this are frequently surprised to find out that they are charged with an actual crime and not a mere speeding ticket. Last week I spoke to another client who was charged with a Retail Theft. The client wanted to know whether contacting the store and paying for the items that were shoplifted would mean that the Retail Theft case would be dismissed. I explained to the client that paying the store for the value of the items that were stolen would not cause the criminal Retail Theft case to just go away. The criminal case involves the Prosecutor’s Office. Any decision made about whether the case will be dropped or dismissed is made by the Prosecutor’s and not the store owners or the store security. The Grand Jury plays a very important role in our criminal justice system. Few people understand what a Grand Jury is and why it plays such an important role in our criminal justice system. A big reason for this is that the entire process is clouded in such secrecy. Clients are surprised and scared to hear that their case is going to a Grand Jury or that they have been indicted by a Grand Jury. The term “Grand Jury” can be scary for a criminal defendant who doesn’t understand what a Grand Jury is. Let’s talk about what a Grand Jury is and what role the Grand Jury plays in our criminal justice system. Why Are There Grand Juries? According to the Illinois Constitution, you cannot be brought to trial for a crime that carries a prison sentence unless you have been Indicted by a Grand Jury or have been given a Preliminary Hearing and a Judge has found Probable Cause to believe that a crime was committed and that you are the one that committed the crime. The term “Indictment” is a fancy word for being charged with a crime. The right to a jury trial is one of the fundamental constitutional principles that applies to all criminal cases. If you are accused of a crime that carries a punishment of incarceration for more than 6 months, you have a constitutional right to a trial by a jury. 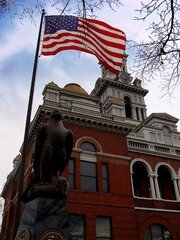 The Illinois Constitution also guarantees you the right to a jury trial in a criminal case. 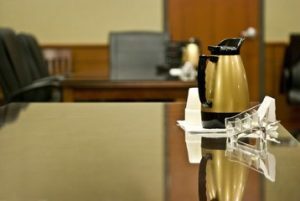 Let’s talk a little bit about what a jury trial is and what happens in a typical jury trial in Illinois. How Are Jurors Chosen for Jury Duty in Illinois? 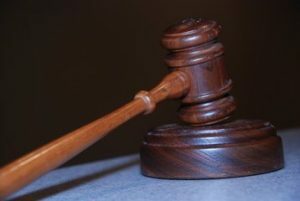 The Clerk of the Court will receive a database containing the names and addresses of a pool of potential jurors in each County. The database containing the names and addresses of potential jurors are compiled from three sources. In general, there are limits to the amount of time that state prosecutors have to bring criminal charges before they are barred by the Statute of Limitations from filing any criminal charges. 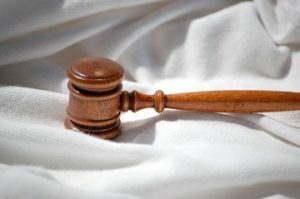 If the state files criminal charges beyond the time limit, or the Statute of Limitations, the person charged with the crime can appear in court and get the criminal charges dismissed. The general rule is that the Statute of Limitations for most felonies is 3 years from the date of the offense. The Statute of Limitations for most misdemeanors is 18 months the date of the offense. However, for some crimes, there is no Statute of Limitations. There are certain instances in which the Statute of Limitations can be tolled, or paused, for a period of time. In other instances, the Statute of Limitations can be extended for a period of time. The Statute of Limitations for your particular case will vary depending on a variety of factors that apply to the particular crime that you are being charged with, or the specific facts of your case. What is a Felony in Illinois? If you are charged with a felony criminal offense in Illinois, you need to know what you are being charged with and what class felony that criminal charge is classified as. Generally, felonies in Illinois are categorized into one of the four classes of felonies in Illinois. Depending on which class your felony is classified as being, the potential penalty will will vary depend on what class felony your crime falls into. Murder is not considered to be part of the four classes of felonies in Illinois. Murder is considered its own special class. 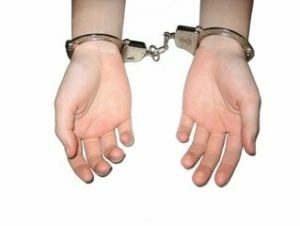 What’s a Misdemeanor in Illinois and What Can it Mean for Your Future? 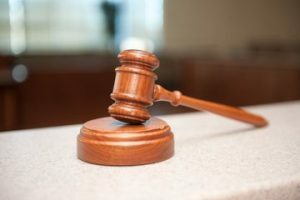 If you are charged with a Misdemeanor crime in Illinois, you need to understand what a Misdemeanor is and what the implications could be for your future. A Felony criminal charge is much more severe than a Misdemeanor criminal charge. But that doesn’t mean that a Misdemeanor is not a big deal. While whether you are charged with a Misdemeanor or a Felony may make all the difference in the world you need to understand what a Misdemeanor is and what you are looking at when you go to Court. Generally, a Misdemeanor carries a maximum penalty of up to one year in jail. If you are sentenced to jail for a Misdemeanor, the jail sentence will be served in County Jail while a Felony carries a potential jail sentence of more than one year in State Prison. When Can Speeding Be a Crime in Illinois? 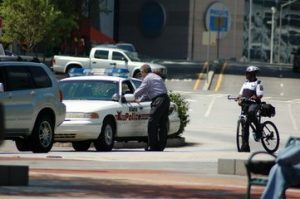 I frequently receive phone calls from clients who have received a speeding ticket for driving at a high rate of speed. While speaking with these clients, it is not uncommon for me to find out that they were driving at such a high rate of speed that I need to explain to them that what they are charged with is not your typical, run-of-the-mill, speeding ticket. I end up having to explain to them that what they are facing is a criminal charge that carries a possible jail sentence in County Jail. Let me explain how a speeding ticket in Illinois can land you in jail and lead to a criminal conviction that would appear on your record in a routine background search. Most speeding tickets are considered a petty offense. The typical speeding ticket carries a fine only. This means that you cannot go to jail for your typical speeding ticket. Basically, Illinois Law provides that you cannot drive at a speed that is “greater than is reasonable and proper with regards to traffic conditions and the use of the highway, or endangers the safety of any person or property.” This basically means that you must drive at a safe speed. What is considered a safe speed depends on the conditions at the time. In other words, what is considered a safe speed may vary depending on the time of day and the weather conditions. However, if you are caught driving above the absolute speed limit, you may receive a ticket for speeding regardless of the time of day and conditions. If the speed limit is 55 and you are driving faster than the speed limit, you may receive a ticket regardless of the weather conditions or the time of day. The defense that you were driving with “the flow of traffic” will not work in Court. If the speed limit is 55 and you are driving 55 miles an hour in a blizzard while all the other cars on the roadway are driving at 30 miles an hour, you may receive a ticket for speeding even though you did not exceed the posted speed limit. As you can tell, being found guilty of speeding above the posted speed limit is much easier for the prosecutor to prove in court than it is for them to prove that you were driving greater than what was reasonable and proper with regard to traffic conditions and the use of the highway. 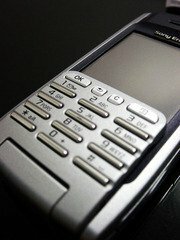 In a closely-watched decision regarding the privacy rights of cell phone users and the power of the police to obtain cell phone tracking information, the United States Supreme Court ruled that the police must obtain a warrant before obtaining the tracking information for the cell phones for most cellphone users. Timothy Carpenter was suspected in a series of robberies of RadioShack and T-Mobile stores in several States throughout the country. The FBI had obtained a simple court order allowing them to obtain 27 days of Carpenter’s cell phone location data from Sprint and from MetroPCS. The court order that had been used by the FBI was a simple court order that did not require that the FBI show probable cause for a search warrant. In response to the court order, the FBI was given a 12,898 location point catalog of where Carpenter had been over a period of 27 days. The location data represented an average of 101 data point locations per day. Carpenter was eventually convicted of the robberies and sentenced to over a hundred years in prison. During closing arguments, the prosecutor made a major point of the location data to help bolster his argument that Carpenter had committed the robberies. On appeal, Carpenter argued that the location data that had been obtained by the FBI should not be admitted in his case because they were obtained without a search warrant. Lower courts disagreed with Carpenter and ruled that the FBI was not required to obtain a search warrant in order to get the location data from the cell phone providers.